“Field of Souls” by Andrew Williams is the story of his family ancestry, inspired by the memory of his mother, Mildred Ponder and her family. Williams provided some great diagrams and information on how to chart a family history, and suggested using ancestory.com to help others in their search. He also did give good information on race and ethnicity in the U.S. Census from 1790 through 1940. In this information, he discussed how individuals were classified and what types of questions they were asked to determine this status. He clarified what sharecropper meant, and how the term “mulatto” came about. There is really nothing more frustrating, than trying to find information on earlier family members when one does not have enough information to know where to start, and/or living family members have no written documentation. It takes time, patience and a lot of research to accomplish this, and sadly, people give up too soon. It is very important for all of us to know our history, and how we came to be who we are today. While I certainly realize this is a self-published book, there were several spelling, grammar, punctuation and spelling issues throughout the book. It benefits all authors and potential authors to hire a professional editor and proofreader. I admire anyone who seeks to find out about his or her ancestors, as it can be frustrating and stressful. Sometimes the oral histories that were passed down were in fact not the truth. This reviewer found the information just tedious and overloaded with facts that she was willing (but did not) to put the book down and stop reading. 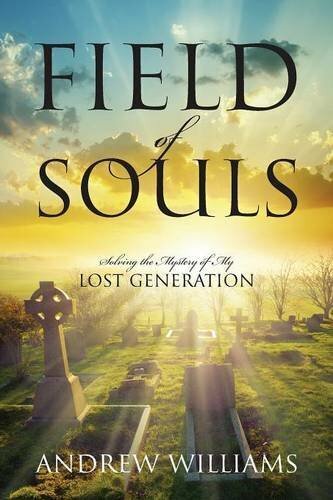 “Field of Souls” by Andrew Williams is an asset for the family, and my hope is that the family and future generations appreciate the work and effort put forth.